Looking for luxury villas near disney world? You are in the right place! 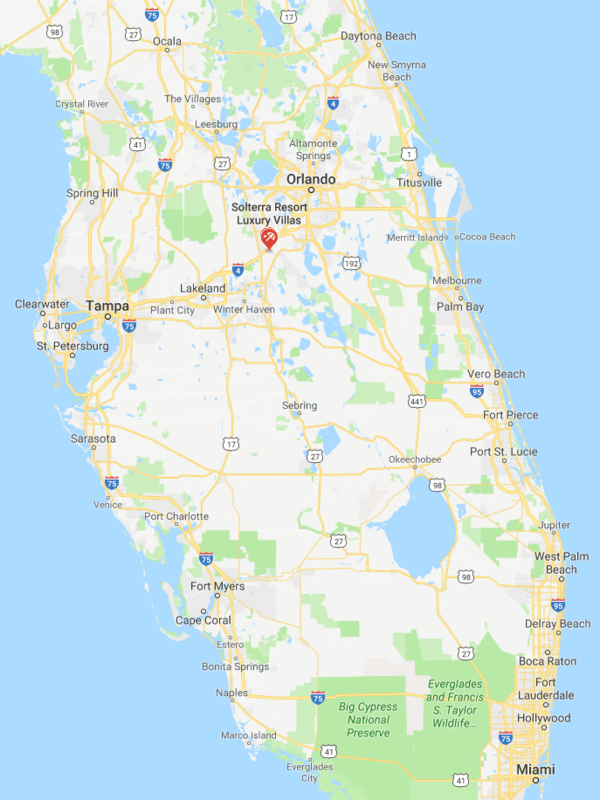 For years we have been travelling to central Florida to enjoy the theme parks. 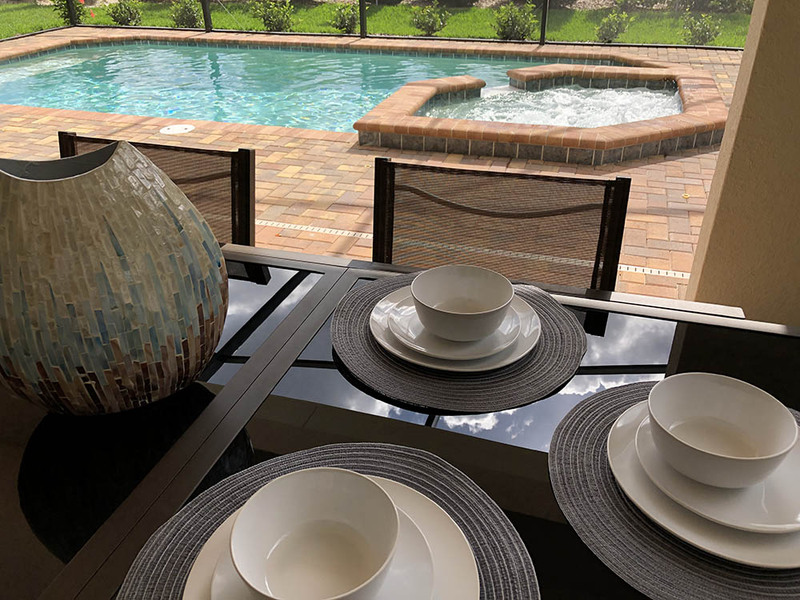 Having stayed in a range of luxury villas near Disney World, we decided to create our very own villa so that we, and you could be assured of the highest quality during your time in Orlando. JUST SOME OF THE REASONS YOU WILL WANT TO KEEP COMING BACK! ✔ Doesn’t back on to another pool! ✔ Furniture tested for comfort, not just style! We love to help others get the most out of their stay in this luxury villa, located on the fantastic Solterra Resort. We are happy to talk and discuss anything from park tips to local restaurants. If we can help, we will help. 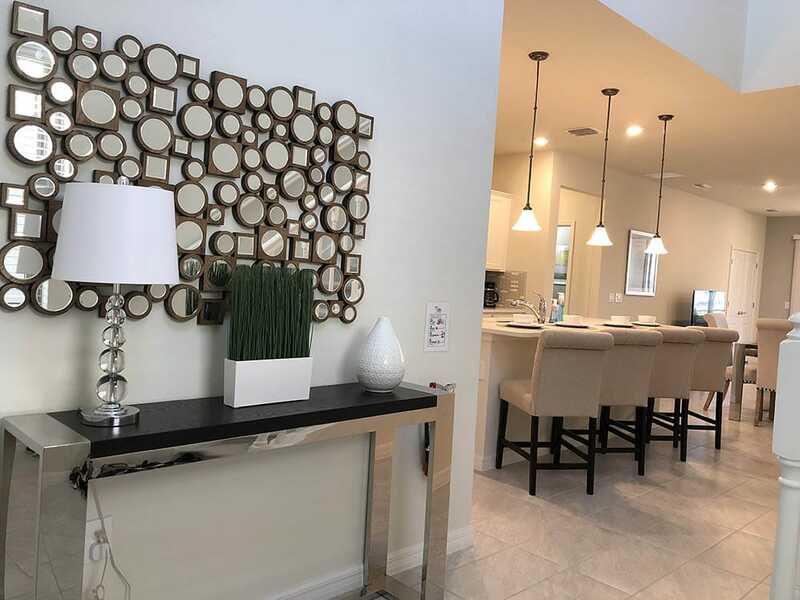 Your villa is located 3 minutes from the Championsgate junction of the I4. This allows quick and easy access to the attractions, restaurants and shopping. Location may not be everything when on vacation, but it certainly helps. 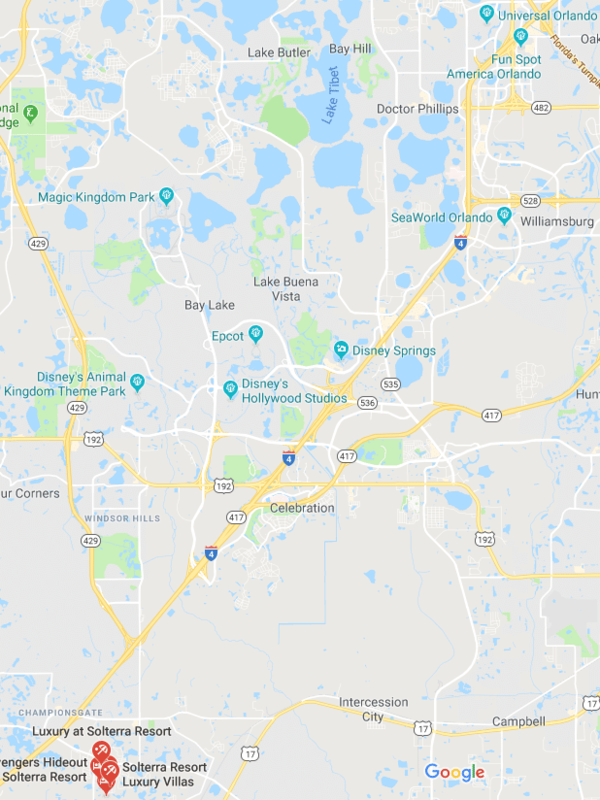 We chose Solterra luxury villas near Disney World because it is away from the ‘hustle and bustle’ (traffic and tacky gift shops!) of Hwy 192. 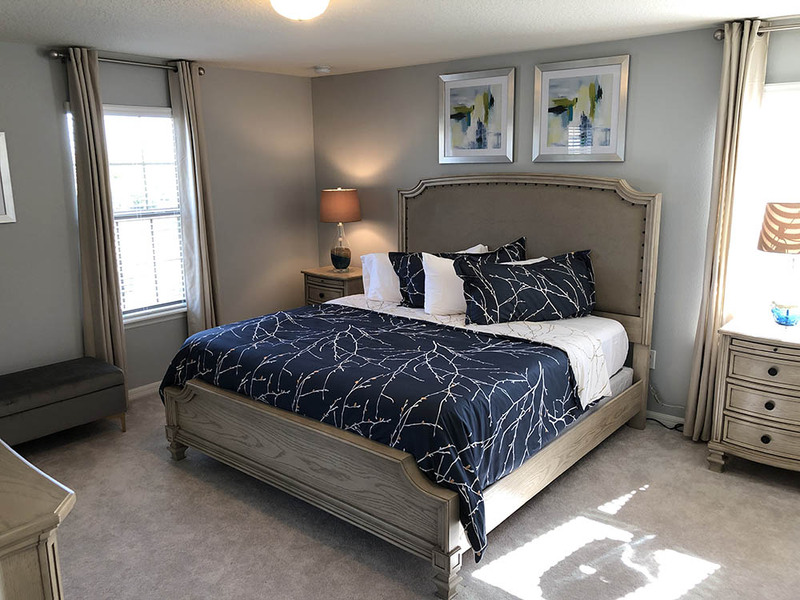 It is in the nicer areas of Davenport and Championsgate. These areas provide a more relaxing experience of visiting the area. They are also perfectly placed to get you to where you need to be fast. Whether its the theme parks or even the East or West coast, it is on your doorstep! We set out to make this the perfect home from home for both ourselves and our guests. Your villa has been specified to the highest standards and newly built (2019 completion) with every detail in mind. 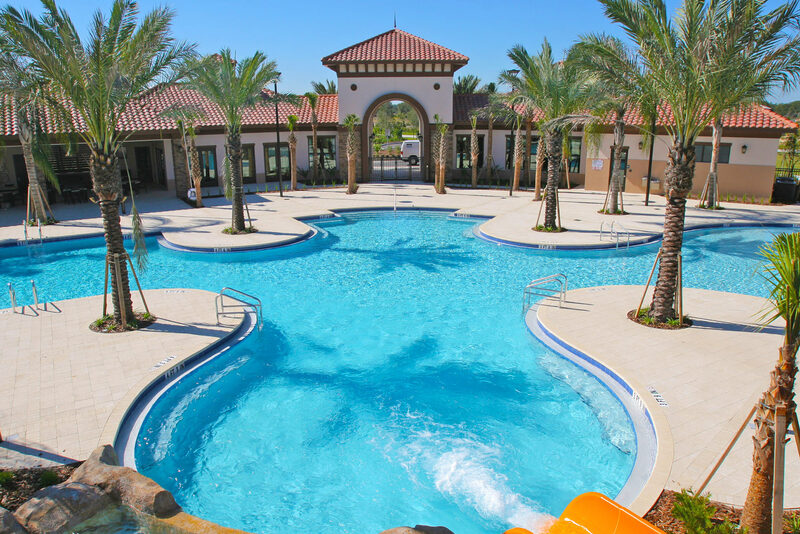 With so many facilities available within the fabulous Solterra Community, it is less common to find homes with their own spa (hot tub). However, we did say every detail, so you can enjoy the spa at the communal pool or back at your villa. You decide. Whether you want to relax in the main lounge, or the impressive loft area (1st floor), you will find our interior designers have created the right environment for you to wind down from the busy park days. The kitchen is fully equipped with the latest appliances, so whether you choose to dine in or out, we have you covered. Most people mix park days and rest days. 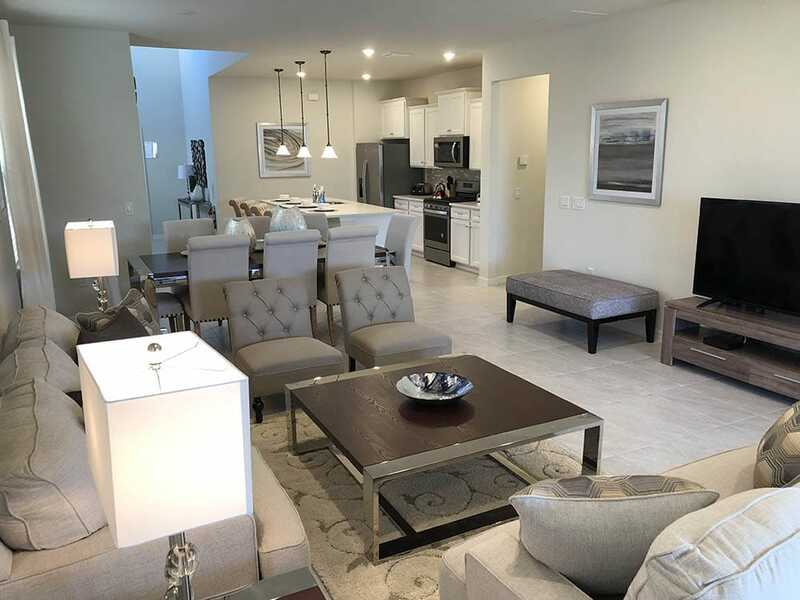 With your villa being part of the Solterra gated community, you get complimntary access to a range of onsite facilities ranging from the pool, slide and lazy river, to a fully featured gym and relaxing indoor and outdoor lounge areas.